We have all been looking forward to this event! 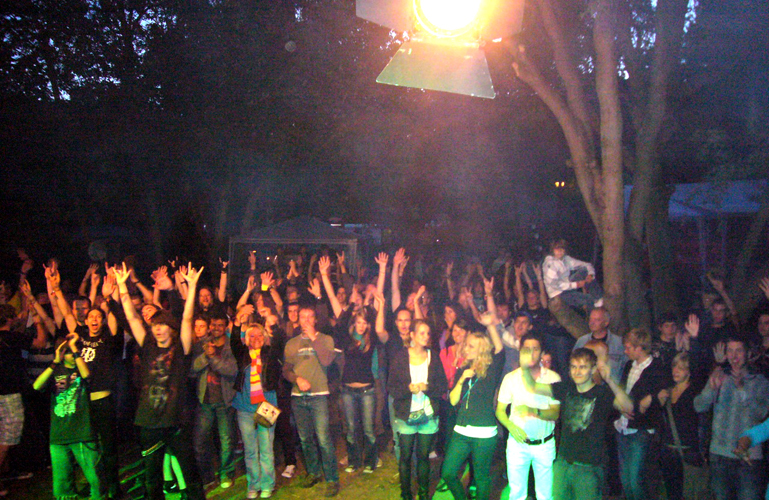 On August 21st we will be playing an open air concert in Bergheim. The "Offene Zeltstadt" is a very popular German Summer camp which is a focal point for creative workshops and cultural events. The camp takes place annually in a beautiful clearing in the woods right next to the Erft river and continually attracts hundreds of visitors. Since AWAKE will be playing the entire concert, you can expect a comprehensive set list, in which "Metropolis Part II: Scenes From a Memory" will certainly play a large role. So even to all of you prog rock fans who live outside the area - it will be worth the journey! Especially since it will possible to spend the night at the camp after the concert. And the best part is: there is no entrance fee! For more information about overnighting, the location, and other events at the Zeltstadt, please visit zeltstadt.woanders.org. Check out our photos and look forward with us to the next gig! Special thanks to Erftrock Team e.V. and to everyone who attended. 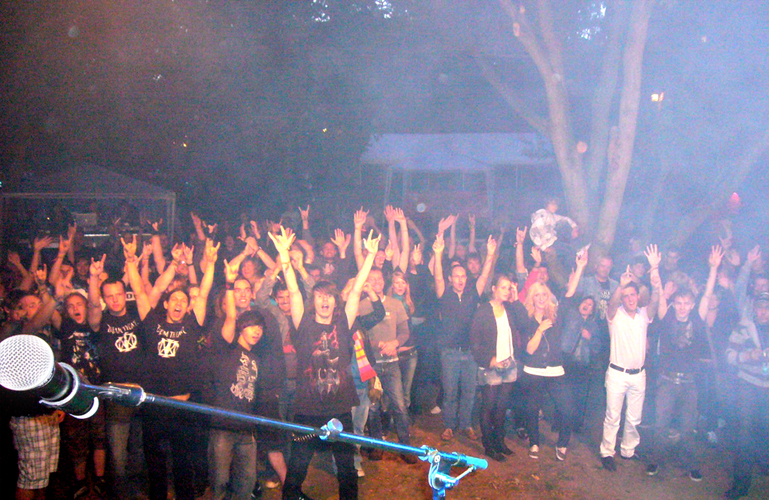 On August 28th we will play our first open air concert! A new setlist can be expected. we won't have to worry about the weather! we don't know how long we will play yet, but we'll update the site as soon as we do. To everyone else: We're counting on you! You can order tickets for 9 euros by sending an e-mail, titled "Tickets", containing the number of requested tickets to mail@awake-music.de. If you buy them on the day of the concert at the venue, they cost 12,50. The photos from the Osterkonzert '09 are now online. The new gallery is just one click away. You can also visit the Media-site to have a look at all the photo- and filmgalleries. 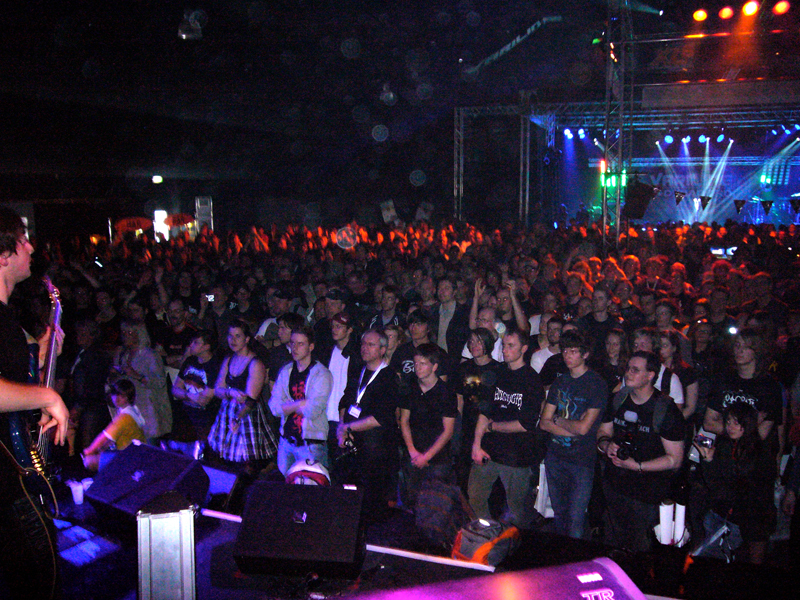 At this point, we'd like to thank the photographers very much for the nice photos they shot during the Osterkonzert '09! the niveau of what one would expect from a small town concert. And we can only agree! It was a great evening once again; on stage, behind the stage, and in front. Congratulations to the bands and special thanks to B�hne e.V. One still revels in the memories of our debut concert. About two years ago, B�hne e.V. paved our way on to the stage. This year we were privileged to present another part of DT-history on the same stage. We certainly experienced a little nostalgia, playing at our "home base" where everything began. Especially when the entire Metropolis 2007 crew was present. It was remarkable that so many of the audience stayed despite the late hour. It honored us that there were so many non-DT-fans among the crowd. We hope you liked it and that we see you again! Falko, Chris, Ian, Marcel and Stephan. 5 shows in 4 days: the event of the year for Awake! It was a great honor to play for Electro-Voice on the Agora stage. To mingle with so many famous musicians was indeed an extraordinary experience. The greatest honor, however, was to play in front of such an audience! for making this highlight for Awake possible. 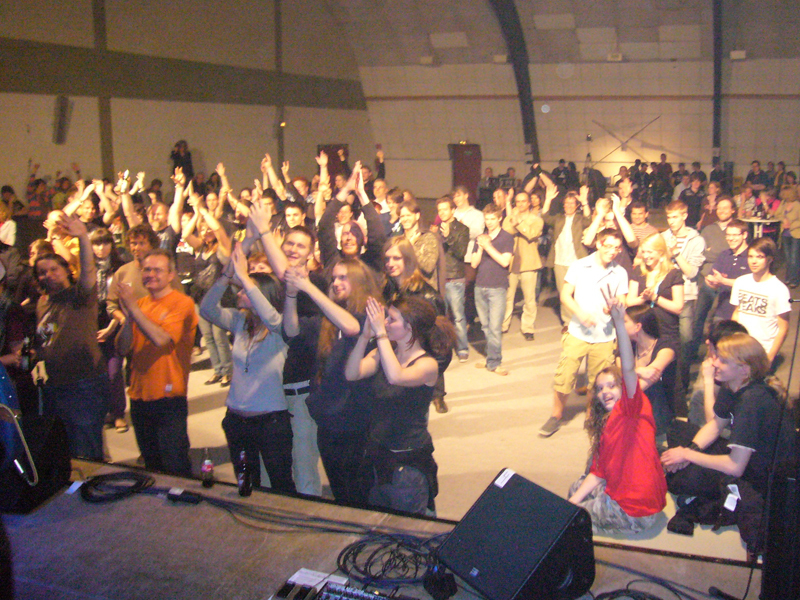 This year we will be playing at our home-base venue again, the Multihalle in Bedburg. 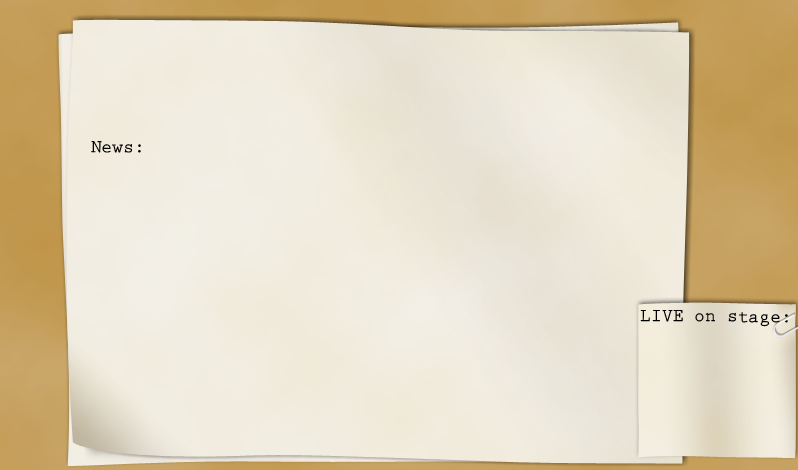 because now you can decide what the set list should be like! The Live Appointment Band, Married On A Parking Lot and Down By Contact. We are privileged to play at next year's Frankfurt Musikmesse for EVI Audio. Show dates: April 1 - 4, each day at 4:30 PM on the Agora stage. Further dates for Spring 2009 will be posted soon! After the gig in November sadly didn't happen, we are now organising gigs for Spring 2009. As soon as we have concert dates, you will find them here. We are also happy to tell you that we used our time-out to work on the guitar rig. If you liked the guitar sound before, you will love it now! At the same time, we have�expanded our repertoire to Images and Words and Falling Into Infinity. You can download our new promo material and repertoire as soon as the media section is updated. So long - keep the dream alive!